Christopher Krebs, acting undersecretary of the Department of Homeland Security‘s cybersecurity and critical infrastructure division, has said that DHS created a task force that will oversee the security of state and local voting systems, Nextgov reported Tuesday. He told the House Homeland Security Committee’s cybersecurity subcomittee during a hearing held Tuesday the task force will gather expertise and resources from various DHS units such as the intelligence and analysis division. 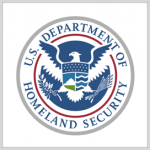 Krebs said the transition of election security efforts from DHS’ infrastructure protection division to the newly established group will help the department simplify the allocation of funds for initiatives that aim to protect infrastructure for congressional and other elections. Former President Barack Obama designated election systems as critical infrastructure amid investigations into Russian interference in the 2016 U.S. presidential election.